<Unfinished> was one of the more anticipated movies of November that I had. However, although it seemed to be a good film judging by its trailer, apparently others had opposing views. The screening I attended, which was on opening day, was nearly empty. Out of 142 seats available, only 13 were taken; there were 129 empty seats. Not only this, but there aren’t that many screenings available either. This most likely has to do with the competition it has with <Fantastic Beasts: The Crimes of Grindelwald>, which released on the same day, as well as <Bohemian Rhapsody> and <Intimate Strangers> killing it at the box office. Despite its underwhelming performance in ticket sales, however, the movie itself was pretty good, and has been receiving favorable reviews by its, albeit limited, audience. 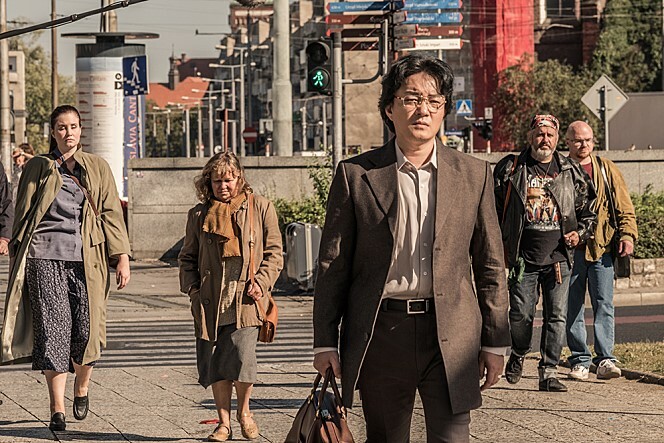 Influenced by real events, <Unfinished> takes the viewers back to when Germany was divided, and follows a North Korean spy that’s trying to get his family back after plans of trying to betray the regime have gone downhill. The film was directed by Noh Gyu-Yeob, and this is his time directing a feature film (he’s had past experience being on the production teams of <The Show Must Go On> and the highly popular Kdrama <Iris>). The movie features the lineup of Lee Bum-Soo, Yeon Woo-Jin, Park Hyuk-Kwon, Park Joo-Mi, and Lee Hyun-Jung, amongst others. Young-Min was an average student, studying abroad in Berlin. In an effort to provide the best opportunities for his family, he decides they move to North Korea, taking an offer made by the North. He soon realizes that this decision was a mistake. On a mission he undergoes for the North, he and his family attempts to escape the regime at the Copenhagen airport. But things quickly go downhill. He and his firstborn daughter are separated from his wife and other daughter, as they are taken by the North Korean agents. He requests help from the Intelligence Departments of the countries involved, but they all have different motives and no intentions of saving Young-Min’s family. 1986 Berlin, a place where everyone is watching everyone. Nobody can be trusted. Right off the bat, the movie’s intro really catches you in. It does a great job hooking the audience and grasping onto their attention (the longevity of this is another matter, though). I would say up until about 30% of the film, it does a great job showcasing an intriguing story and keeping interests high. After a while, though, the movie progresses relatively slowly. From about the 30% mark to around the 75% mark, I found myself not bored, but slightly disinterested. However, it does pick back up near the 80% point, and hits its peak with the climax. And finally, its resolution was very touching and engaging. The acting of the cast members of <Unfinished> was overall decent. Although there were several familiar faces, like Lee Bum-So, Jin Sun-Kyu, Lee Jong-Hyuk, and Park Hyuk-Kwon, the new Korean actors and actresses that I hadn’t seen before were competent. They weren’t the best and there definitely could’ve been better casting choices, but it isn’t anything to complain about. It was especially great to see that Jin Sun-Kyu is starting to gain recognition and more roles in films. Moreover, the film had some unique and interesting camera works. The transitions were well-incorporated so that it not only flows smoothly from scene to scene, but actually plays a role in telling the story. For instance, the film occasionally goes back and forth between different times, and the camera work is used to express the different dates in a sleek way. The biggest negative I found of the film was the logical fallacy of the wife and daughter being taken at the airport. 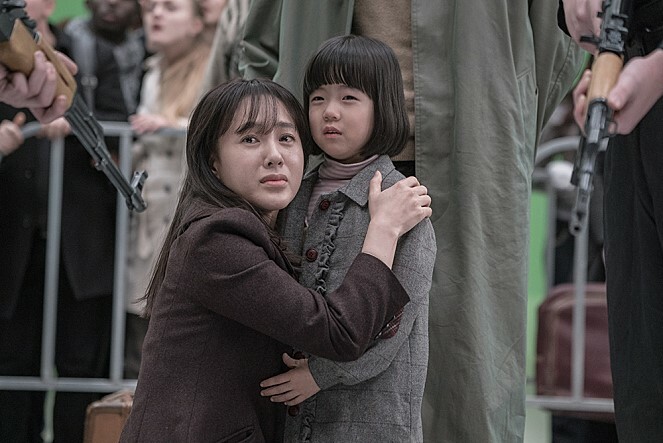 To give a background description, Young-Min, his wife, and their two daughters enter the Copenhagen airport and Eun-Sook, the wife, and their firstborn daughter, Hye-Won, successfully pass immigration. Young-Min and their other daughter, Kyu-Won, walk up to the immigration desk and gives the officer their passports, as well as a note stating “help me. I’m North Korean spy.” Upon seeing the note, the officer calls forth security. Meanwhile, Hye-Won, sneaks off away from her father, and a North Korean agent that they travelled with retains her. The security rushes over and drags Young-Min away. Realizing that his daughter isn’t by his side, he calls for her to come to daddy (as seen in the trailer). 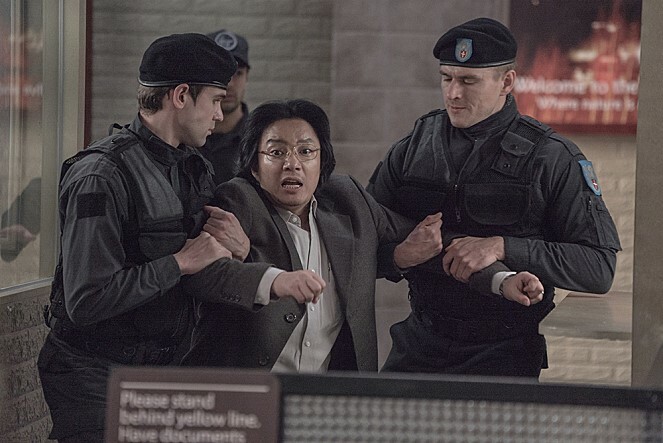 Seeing that the North Korean agent is holding Hye-Won, the mother leaves Kyu-Won’s side to go get Hye-Won. As Young-Min screams and yells for his family, the security blatantly continues to take him. Thus, he and his firstborn daughter (who successfully passed immigration with the mother) are taken into questioning, while the mother and Kyu-Won are taken by the North. Now, let’s think about this logically. You’re in a heavily controlled area with numerous eyes. You say you’re a North Korean spy, and so the immigration agents proceed to take you into questioning. You scream at the top of your lung for your family, who are standing just a few meters away from you. Yet the security just takes you without your family? And also, the North Korean agent is approved to pass immigration and allowed into the country? With all of the havoc that just took place? (Mind you, the North Korean agent was next in line after Young-Min for immigration). That makes no sense! This was the biggest fault in the story I saw. Realistically, and logically, it does not make sense. Furthermore, I felt that the story was an interesting one, but how it played out wasn’t anything too special. As I mentioned, the movie gets pretty slow in the middle; it doesn’t have as much thrill and action as the trailer made it seem to have. There are a ton of Korean movies with a North Korean background in its narrative (i.e. 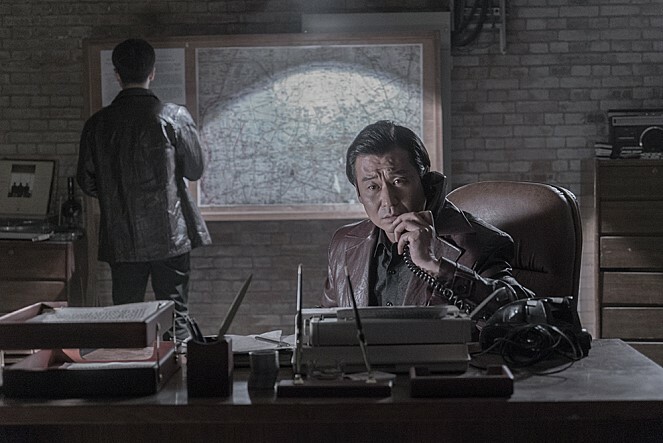 <Steel Rain>, <Confidential Assignment>, and the more recent <The Spy Gone North>). Comparatively, <Unfinished> wasn’t anything special. Finally, although the acting by the Korean cast members were adequate, the performances by the foreign cast were dreadful. I feel like this is something I always point out in movies that have foreign actors; their acting is extremely awkward. From their dialogues to their motions, and even just their stances, it all seemed immensely unnatural. I fail to understand why they can’t cast some good foreign actors, and not those that seem like they were on a skit of SNL (heck, even those performers are better at times). <Unfinished> is definitely an underrated movie that deserves more recognition. I feel like if it wasn’t released during a time where big-budget Hollywood movies were competing against it, it would perform much, much better. But then again, November and December are filled with highly anticipated movies, both Korean and Hollywood, and so it probably would’ve had a similar problem nonetheless. It isn’t a must-watch, but for sure something you could watch for fun.